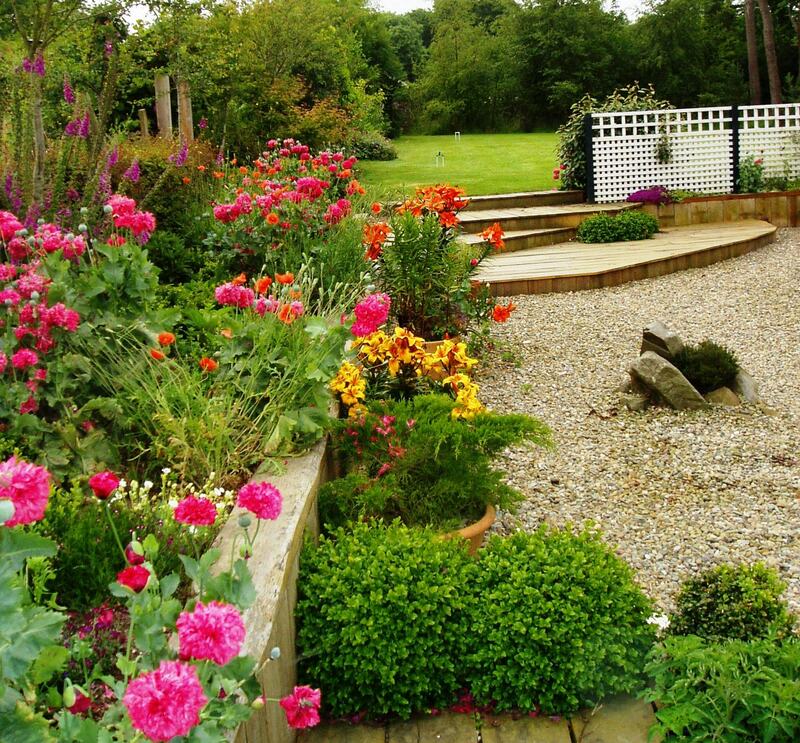 A minimal-maintenance garden can be a riot of colour and interest, as well as a relaxing place to enjoy your free time. Our clients hated strimming but enjoyed mowing the grass, so this garden features a ‘no-strim’ strip. This is an edging of red quarry tiles that the mower wheel sits on, eliminating the need for strimming entirely. The curved beds are edged with weathered oak, giving an easily managed edge that doesn’t detract from the joyful planting. 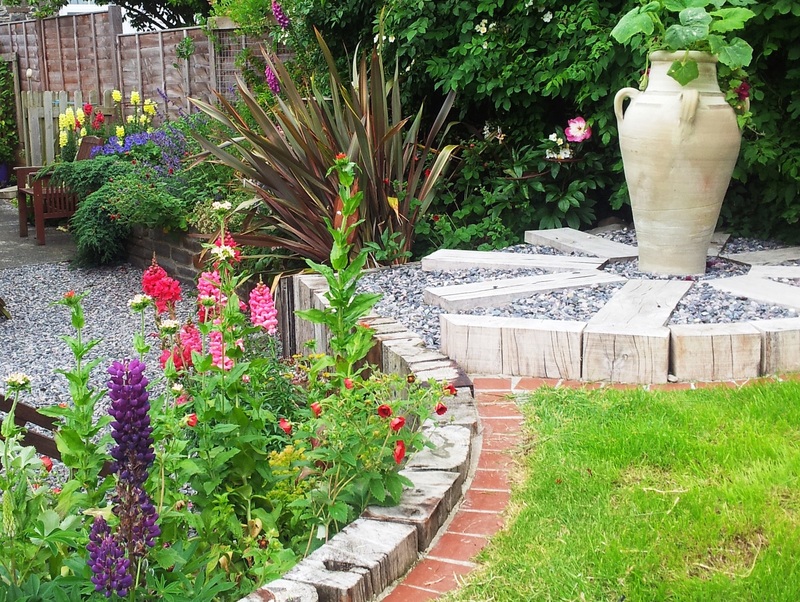 Our busy client enjoyed travelling and entertaining her friends, but her old garden was a mess of concrete and weeds. 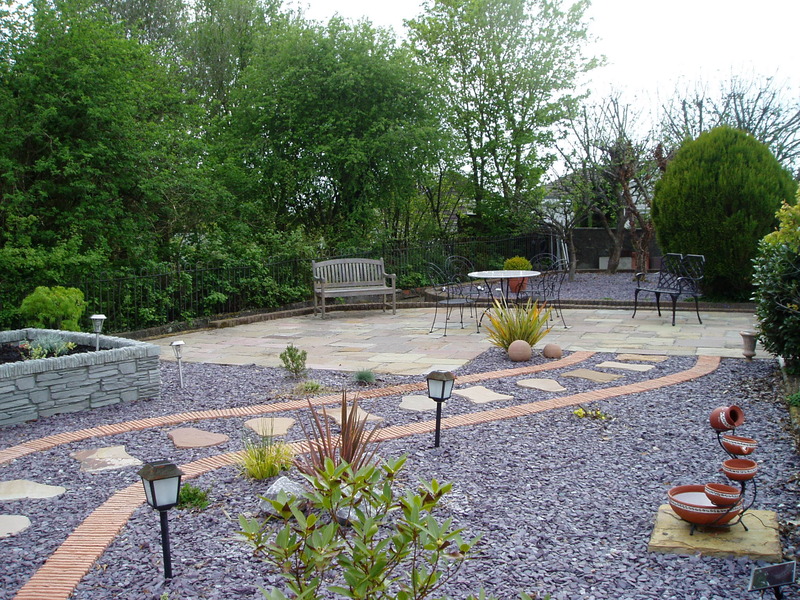 We designed a garden with plenty of dining space and focal plants set in attractive purple slate. Strong curving lines and low-level lighting make it the perfect place for summer dining. 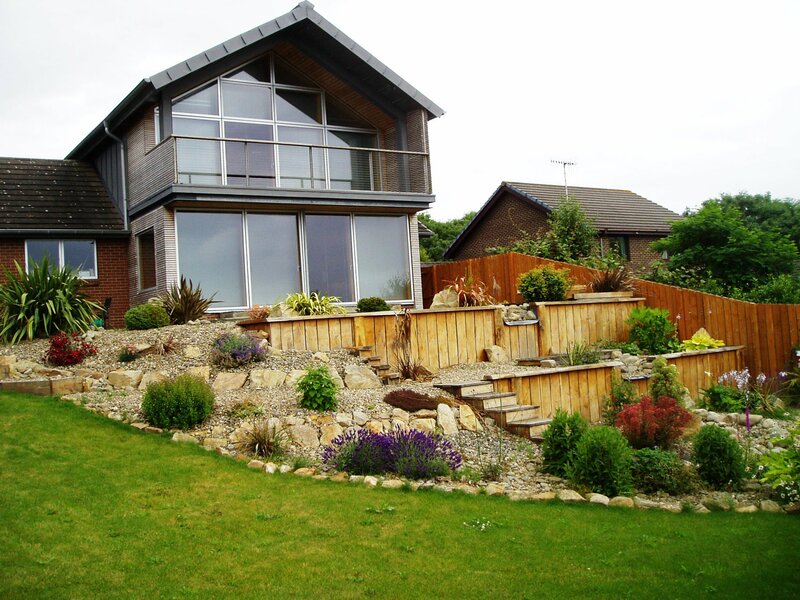 The design for this garden required innovative ideas to cope with several changes of level. 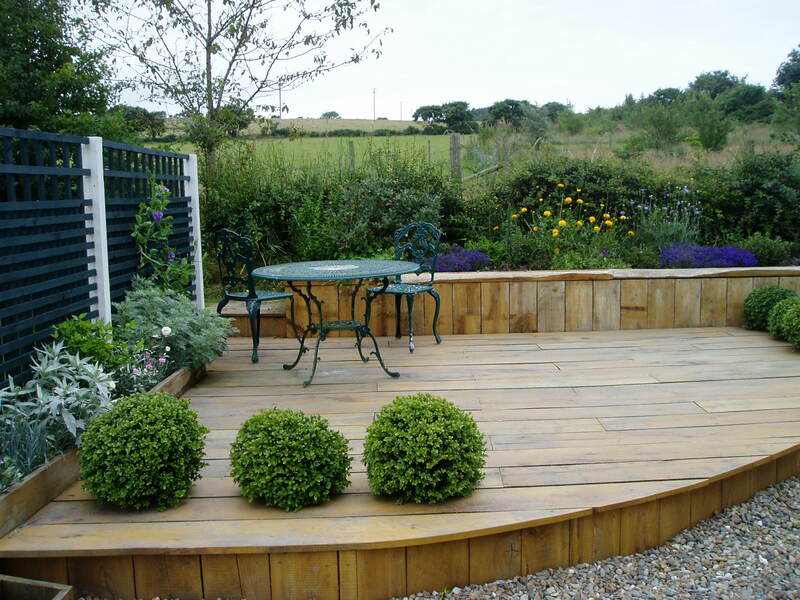 We used split-level oak decking set in gravel, with a feature bed for scented plants and attractive trellis to cut out the wind. Click below to see how we built it.